Brand new album by the undisputable master of noise and his third installment for Essence Music. Four blistering sonic assaults from the depths of Masami Akita’s nauseating fluorescent cosmos. 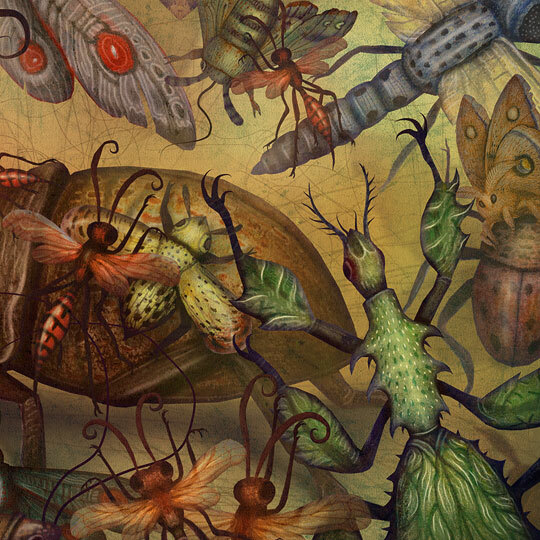 Throbbing machine screams and screeches, pulsating analog rhythms and piercing frequencies. Looped and layered with sonic detail, the album is another important chapter of harsh psychedelia that stands up on Merzbow’s extensive discography. 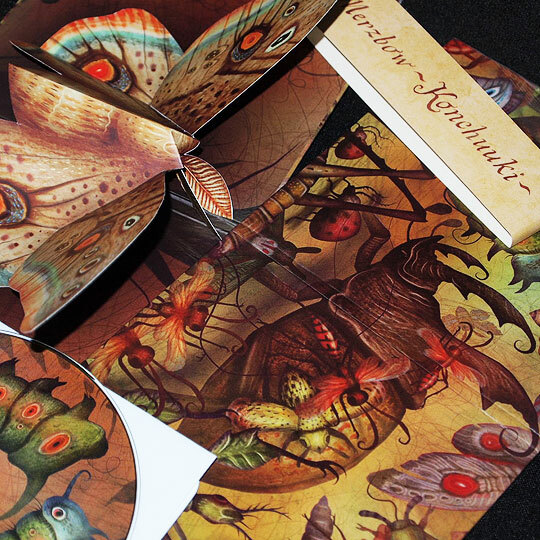 Inspired by the world of insects, Konchuuki – a coined term meaning “insect machine” – comes presented on our deluxe tip-on, sturdy gatefold mini-LP packaging featuring beautiful artwork by the incredibly talented Serbian illustrator Vladimir Stankovic, including an elaborated striking moth pop-up! Limited to 400 copies. Recorded and mixed at Munemihouse, Tokyo, Dec 2013-Feb 2014. 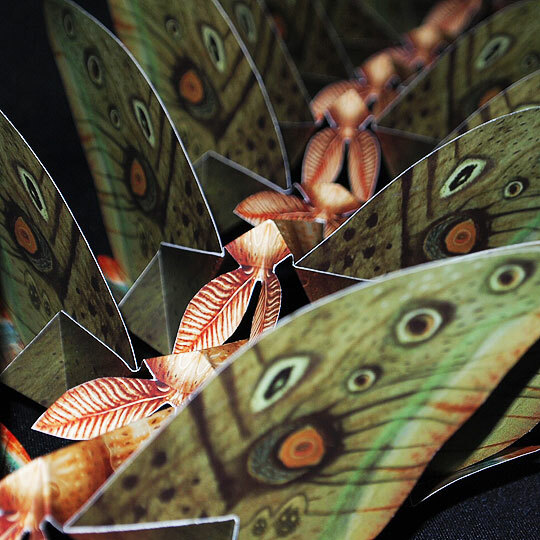 Paper engineering by Essence Music.